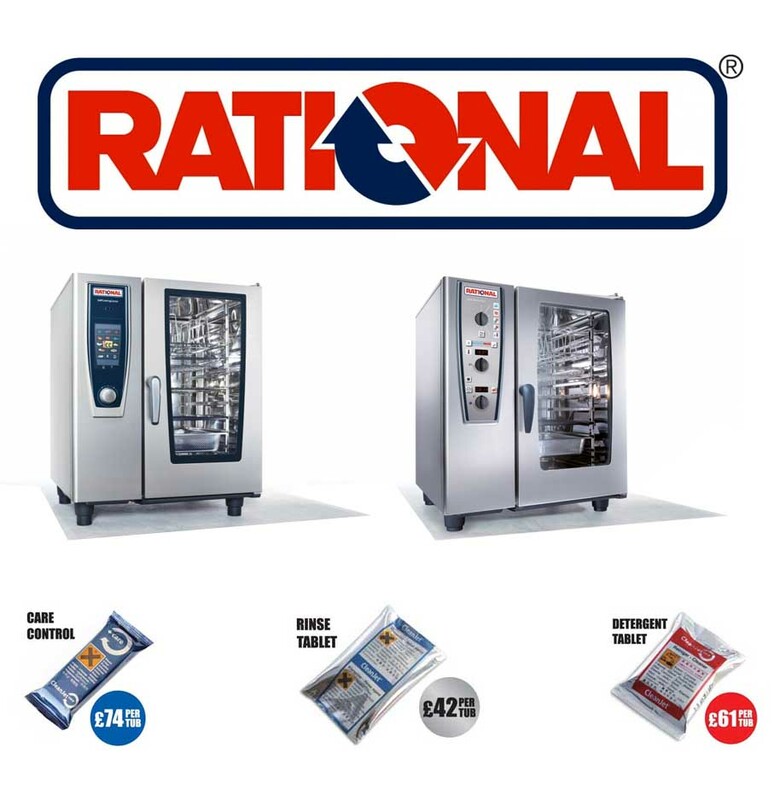 Rational cooking systems deliver unbeaten quality, performance, and efficiency. Their combi-ovens have an intelligent system that allows you to perform a number of different styles of cooking within one unit. Rational are one of the many brands that K.C.S. specialise in. We are able to provide installations, servicing, and repairs of Rational equipment. Whether you are looking to find out if the CombiMaster® is the right cooking solution for your commercial kitchen, or one of your systems require emergency repairs; K.C.S. are able to help. Based in Hampshire, we’re a local business capable of providing a prompt service. This includes being able to be onsite to assess your equipment within 24 hours of you phoning us*. Whether you are looking for a SelfCookingCenter® or VarioCooking Center®, or would just like more information and to find out what system would best suit your business; K.C.S.’s knowledgable and friendly team can help. Rational systems come in several sizes, and we can help your company find the right product for your requirements. We’re a Gas Safe registered business, meaning when we complete service your gas systems you can be assured that we’re doing it safely and correctly. Not only is servicing great for improving the longevity of your system (making sure it operated at maximum efficiency), but also necessary from a legal standpoint, as if your cooking system does not meet legal requirements you could receive a maximum penalty of £20,000 or two years imprisonment. As a local business, we can deliver a prompt and reactive repairs service that is available 7 days a week; able to have someone onsite to assess the repairs within 24 hours of your initial phonecall*, and any parts to be ordered on the day of the visit. With our extensive knowledge of Rational cooking systems, you can be rest assured that we are delivering a high-quality service. We understand that your cooking system is an investment, and that you want to make sure that it’s protected and properly maintained. K.C.S. offers competitively priced Rational Care Tablets, ensuring your system receives quality maintenance for the most cost-effective price.